MAKE no mistake: Two Vanderbilt University inventors-turned-entrepreneurs are working hard to secure the grants and private investment they need to keep moving forward with development and commercialization of IntelliCane™. IntelliCane is a combination sensing, measurement and analytical tool and walking aid that is designed to help in mitigating risk of falls that often lead to injury or death among the aged and infirmed. The co-founders of Adaptive Technology Consulting -- which aims to license and commercialize VU intellectual property for IntelliCane -- told Venture Nashville they are intent on securing a federal grant and-or outside investment not later than the end of 2018, to fund further development. Their goal is to get the IntelliCane gait-analysis technology they are developing into the hands of physical therapists who assess the walking and balance capabilities of persons who are at-risk of falls that could drastically alter or even end their lives. Adaptive Technology's co-founders emphasized in interviews with Venture Nashville that IntelliCane is one of several promising commercialization opportunities their new company is developing on parallel tracks. They said they are optimistic that they will be able to obtain $250K to $500K in grant or investment funding for IntelliCane's further refinement during the next 12 to 24 months. Failing that, they would probably be forced to shelve their IntelliCane work. 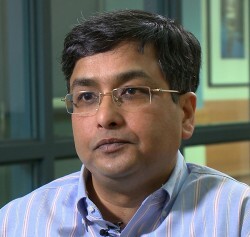 Adaptive Technology was chartered 18 months ago by Nilanjan Sarkar PhD, who is chair of the VU School of Engineering's Department of Mechanical Engineering and a professor of both mechanical and computer engineering. 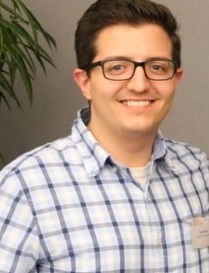 Josh Wade, a research assistant in the RASL lab, is Sarkar's 50:50 co-founder of Adaptive Technology. The initial iteration that became IntelliCane™ technology was developed within VUSE's Robotics and Autonomous Systems Lab (RASL), of which Sarkar is director. IntelliCane prototype testing involved 27 subjects, including 18 patients, and was done in collaboration with the Pi Beta Phi Rehabilitation Center of the Bill Wilkerson Center at Vanderbilt University Medical Center. Both Sarkar, 53, and Wade, 27, said that in order to keep IntelliCane on the front burner they are preparing to submit next month an application for SBIR funding through the National Institutes of Health (NIH). Wade explained that an injection of non-dilutive grant funding would support creation of a more robust and visually more pleasing prototype that could be used to obtain more patient-therapist usage. Once the IntelliCane system has been refined, the team will be able to determine the precise path the company should follow in satisfying any FDA requirements. They would also more fully develop an optimal business model, and determine the company's outside capital requirements, Wade explained. The sole existing IntelliCane prototype was somewhat rough-hewn in-house, but served well enough to get some response from users, Wade added. The team presented the technology during the 2015 and 2016 meetings of the Southeast Medical Device Association (SEMDA), according to information online. Wade said the co-founders have thus far had only very informal discussions about Adaptive Technology's goals with some potential Angel investors, but those conversations would probably accelerate if it wins one or more SBIR grants. Wade revealed that the team has had opportunities to present to both an innovation group associated with a major durables manufacturing company and a venture capital investor, both of which he declined to name. As soon as appropriate, the team will proceed to negotiate with Vanderbilt for favorable rights to commercialize IntelliCane technology. The company has secured its place in line for those negotiations by obtaining a letter of good faith from VU CTTC, said Wade. Commercializing the product via licensing it to an industry strategic currently seems the most likely path for IntelliCane, said Wade. Meanwhile, the company has, however, begun assembling outside advisors: Its lawyer is Chris Sloan of Baker Donelson and it banks with Wells Fargo. No accountants have been signed, but Wade said the company is likely to sign with KraftCPAs, after fresh funding is secured. Wade stressed that both the Vanderbilt Center for Technology Transfer and Commercialization (CTTC) and advisor Axel Strombergsson (formerly with CTTC and now with Memphis-based SweetBio) have been enormously helpful to the company. Willingness to make fish-or-cut-bait decisions about commercialization priorities is essential on the campuses of busy research universities. ► Currently, VU has 662 active license and related agreements for its intellectual property, on top of 596 previously issued and still-active patents. ► VU obtained an average 50 patents per year during 2015-2017, and in 2017 it earned $9.6MM in licensing revenue. ► The university also has 695 patent applications awaiting federal disposition. ► On any given day, staff of the VU CTTC have on-hand as many as 1,200 cases involving VU technologies that are deemed of potential commercial value, whether patentable or non-patentable. 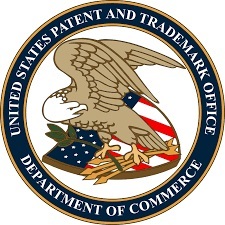 Vanderbilt has had considerable success in commercializing its intellectual property. Angel- or venture-backed Startups launched by VU-tied investigators have recently included these healthcare-related companies: nPhase, based in Encinitas, Calif.; and, two Nashville-based startups, iQuity and PATH EX. Earlier prominent licensing deals include the much-publicized licensing of Exoskeleton technology to Cleveland-based Parker Hannifin; and, VU's licensing of patents and applications to UK-based CN BIO for Organ-on-a-Chip applications. Vanderbilt applied 15 months ago for a patent for its "Walking Aid and System and Method of Gait Monitoring," now mercifully branded IntelliCane by its inventors. The IntelliCane system is designed to augment with objective data the traditionally subjective assessments made by physical therapists, whose ratings are often inconsistent and are typically conducted using only limited protocols in confined spaces, rather than incorporating data from walking in natural settings. There's a related CTTC summary here. In its patent application, VU describes the IntelliCane technology as a clinical assessment tool for physical therapists who need to evaluate the speed, placement, angle, force and other characteristics of an individual patient's use of a standard offset cane in varied settings, over time. The cane is outfitted with sensors, a micro-controller and an algorithm that produces data related to patients' mobility habits, pace, foot swings and planting and other traits, all of which can help in prescribing assistive devices and can illuminate harbingers of deterioration of walking ability. Injuries from falls among older Americans are rampantly contributing to overall U.S. healthcare spending. Exacerbating the problem: The Census Bureau recently projected that by 2035 -- 17 years from now -- people age 65 and older will total 78 million -- outnumbering the 76.4 million children who will then be under age 18. That'll be the first time in history that U.S. elders have outnumbered youngsters. Falls are the leading cause of fatal and nonfatal injuries of U.S. residents age 65 or older, who now total nearly 52 million. Within this aging segment, at least 30 percent report falling at least once annually. 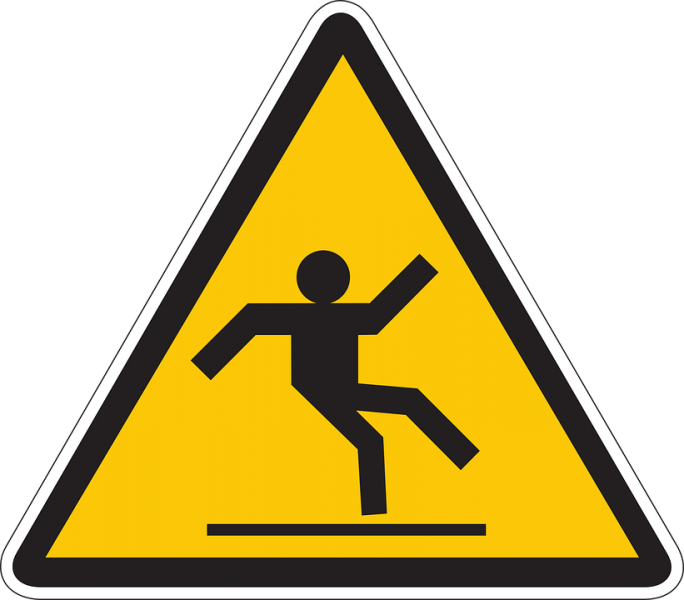 During 2014, approximately 27,000 of the nation's older adults died because of falls (up from 15,802 in 2005). Also in 2014, about 2.8 million patients age 65+ were treated in Emergency Rooms for fall-related injuries, with more than a third of those subsequently hospitalized. In 2015, more than $50 billion was paid for fall-related care by Medicare, Medicaid, Payers and Consumers paying out of pocket. Of the total, at least $754 million was spent caring for people who died from their injury. What's more, VNC research suggests those figures probably do not include non-medical economic losses by the patient, family caregivers, employers and others. About a fourth of the over-65 population are still in the workforce. It is also important to note that the numbers above do not reflect falls or balance problems among persons younger than age 65, who may also be at risk of falls due to ear infections, brain injuries, Parkinson's or other diseases or ailments. The magnitude of these issues and the market for solutions means that Alternative Technologies' IntelliCain may face competition. ► University of California-LA Samueli School of Engineering (related presentation PDF); West Health Institute; Isowalk Inc., et al. ► Gina Sprint PhD at Gonzaga University (formerly with Washington State University's CASAS, Center for Advanced Studies of Adaptive Systems). Though not directly competitive at this time with IntelliCane, other centers of "intelligent mobility" research and commercialization (often anchored in robotics and mechatronics expertise) exist in the U.S. and around the globe. For example, researchers at ETH Zurich are now focused on developing a "SmartWalker". Both men acknowledged that, while they are determined to keep pressing forward with IntelliCane this year, at least one of their other projects seems to have attracted interest as strong or stronger than that garnered by IntelliCane. 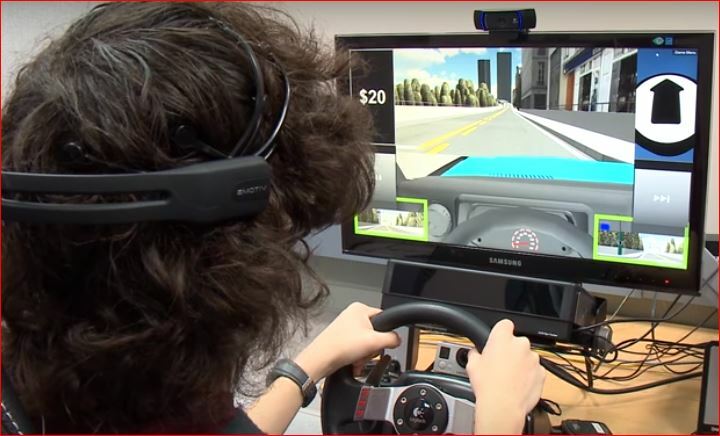 Case in point: A Sarkar-led team has developed a virtual reality simulator to help some teenagers with autism spectrum disorder (ASD) learn to drive a vehicle. That program's "Vanderbilt VR Adaptive Driving Intervention Architecture" (VADIA) is designed to teach trainees with ASD the basic rules of the road. The system also gathers information about the ways ASD trainees react to situations they encounter in their VR-driving classes. The VADIA system might also be used to help screen-out persons whose ASD-related deficits are too severe to drive safely, according to a 2016 VU science article. In addition to Sarkar and Wade, inventors named in Vanderbilt's September 2016 patent application (20160262661) are Thomas Withrow; Robert Boyles, Alec Myszka; Esube Bekele; and Marco Beccani.